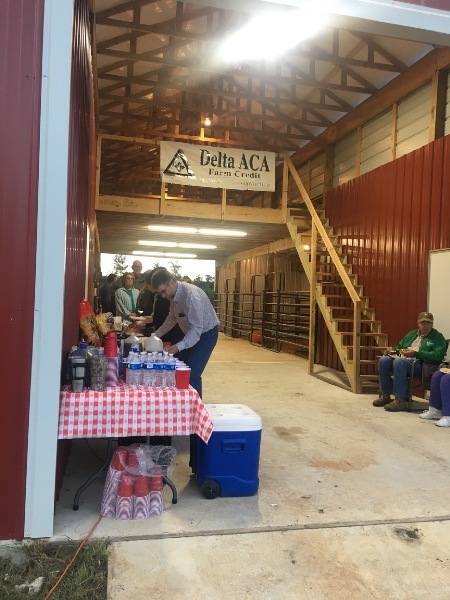 On October 18, 2018 Delta ACA staff prepared hamburgers and hot dogs for the Drew/Desha Cattlemen's Association monthly meeting. Top photo: Members of the Drew/Desha Cattlemen's Association prepare their hamburgers and hot dogs. Bottom photo: Delta ACA C.C.O., Kerry Hartness, cooks for the Cattlemen's Association.